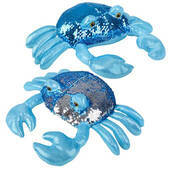 This 10" Reversible Sequin Crab is a cute toy that will make a great gift. Your child is sure to love the shine of the sequins. It will look perfect as part of any nautical themed children's room. 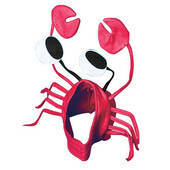 …The fish net is great to hang from the ceiling with decorative items such as the plastic crab stuck in it. This will give your luau an authentic look. The fish nets are made of cotton and come in assorted colors. 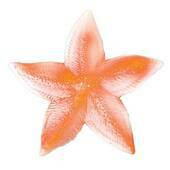 Add some lobsters or crabs to this fish net to really spice up your luau decorating.